The Fast and Furious franchise is now roughly ten years long and five films strong, I would be the first to admit that I cannot believe it made to this milestone. Let's face it, the franchise has some duds within those five. I never was too much of a fan but I did enjoy the fourth and honestly, as an action film this enjoyment extended into the fifth. One might question this turn of opinion and Justin Lin has a lot to do with that. Granted, I refuse to see the third one which he also directed (it looked horrible) and my opinion of him is firmly rooted in his work on Community which was fantastic. 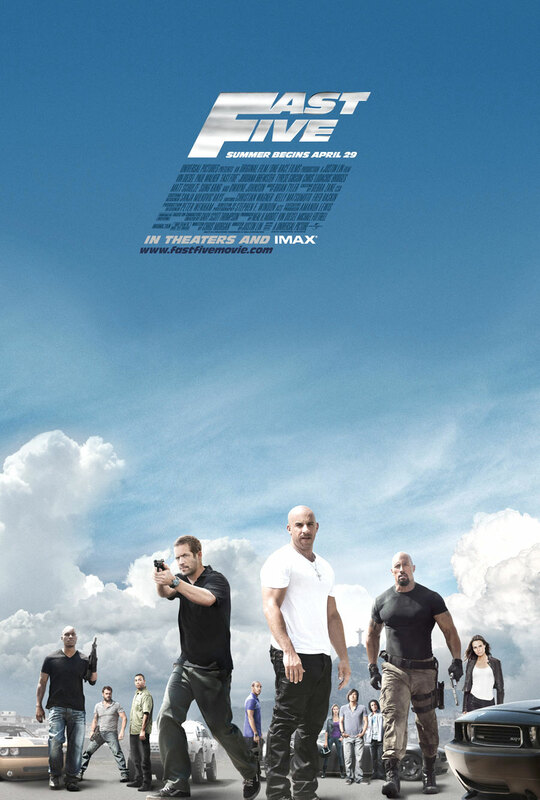 Fast Five has been labeled a "transition" film in the franchise, long gone are the street races and lame deep cover subplots. One of the reviews that I read on the film was that the producers felt that by continuing in this vein, the film series would eventually hit the "ceiling." With that in mind, they decided to pursue the action course and robbery capers of years past. In fact, the latter part was emphasized so heavily that Fast Five is essentially a carbon copy of the Ocean's Eleven remake. 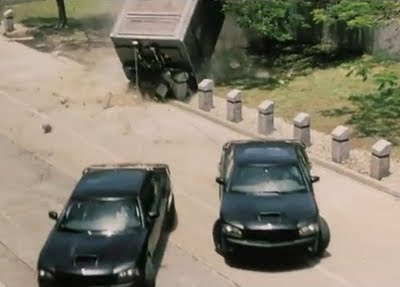 Fast Five begins exactly where the fourth one leaves off, Mia Toretto (Jordana Brewster) and Brian Connor (Paul Walker) busting Dominic from the prison transit bus. They then flee to Rio De Janeiro with the intent of pulling a simple job of stealing three cars from a train. Of course, nothing is simple in a heist film, as it turns out one of those cars is more than what it seems. It contains the information about the criminal empire of the film's antagonist, Herman Reyes (Joaquim de Almeida). Coupled with the fact that three DEA were killed on the train, the Torettos and Connor are (in a word) screwed since this pits them against a crime lord and the top fugitive hunter in the United States, Luke Hobbs (Dwayne Johnson). 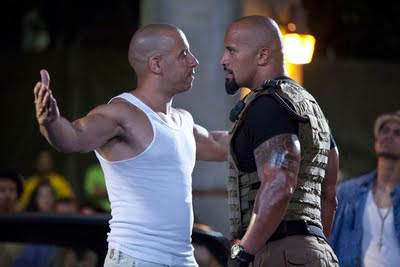 Both decide to raid the house of Toretto and Connor at the same time. This results in numerous casualties and a chase through a Brazilian shanty town or favela. The audacity of such a raid leads Toretto and Connor to get their friends (from the other films) to take the fight to Reyes. First, they send a message by raiding a safe house and burning the money contained within it. This leads Reyes to put all of his money in a single location, the municipal police headquarters. Of course, this means all of the Fast and Furious alumni will be stealing all that sweet dough. As I mentioned earlier, Fast Five breaks no new ground, all of the plot and many of the character interactions are lifted from Ocean's Eleven. While I like Justin Lin, as a director, he is no Steven Soderbergh. While there are no qualms made about the content of the film or where the plot originates from, it does seek to differentiate itself from through action which the film has in spades. Not only were the sequences plentiful but they were well shot and actually relevant (They weren't put in to just satisfy the audience's desire for big explosions but they did that too) to the plot, especially the sequence where Hobbs' comrades are decimated or the end chase with the massive safe. Furthermore, the Rock has returned to looking like a beast and his interactions with Vin Diesel were probably the best part of the film. Taken as a action-heist film, Fast Five is an enjoyable way to spend two hours even though it is not the most original film. I (for one) am glad they moved away from the whole car race/ culture angle. For someone who not only did not like the first one and avoided its sequels like the plague, it says a lot that I have liked the last two films. Also, it kind of has me interested in Fast Six, which is going to be released Memorial Day 2012. 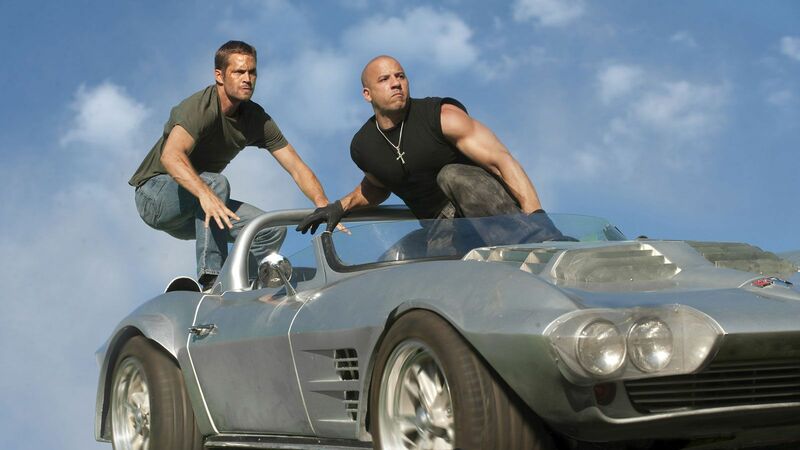 Details have not been released save for that it will feature more screen time between Vin Diesel and Dwayne Johnson... After all, they are just giving the people more of what they want.